Stepfamily researchers tell us that the first decade of stepfamily life is the most difficult. The first decade – ten years! That is a long time. But if we want success in our stepfamily, we must be willing to commit to the long run. And we must make that commitment from the beginning. 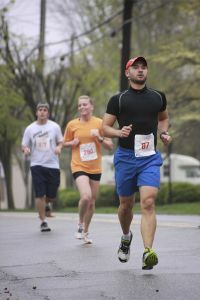 My husband is a marathon runner. When he begins training for a marathon, he maps out weekly runs and cross training workouts. He methodically puts a plan together to train his body to complete the grueling distance. But the most important component of the training is his commitment to go the distance, even when it gets tough. He has completed training runs in the brutal heat and piercing cold. He has completed training runs when he didn’t want to and didn’t feel up to par. But he understands the commitment to the training if he wants to be successful in the race. As stepparents, we must recognize our commitment to the process if we want to be successful in our relationships. We must be willing to endure the good times and the bad. We must engage in our stepparenting role on days we don’t want to and days we feel less than optimal. But we can trust there are rewards for our efforts. Just as training for a marathon leads to race day success, investing in long-term commitments leads to stepfamily success, creating stable relationships that last.